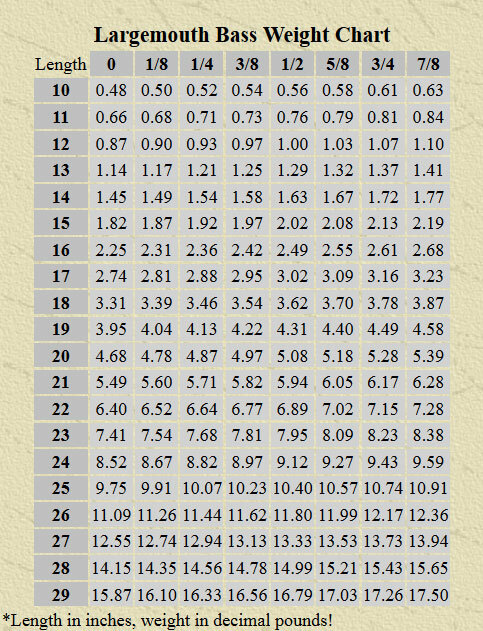 You can use this table to find the approximate weight of a bass by simply measuring the length of the bass to the nearest 1/8th of an inch and then finding that corresponding weight. These weights listed in this chart are averages. Local variations could occur. Use this chart only as a method for determining the approximate weight of your bass. How To Drop Shot Fish!